Corey Haim is not the first Jewish teen actor from the 1980s to die tragically and certainly not the first child actor to overdose. River Phoenix, whose maternal grandparents were Jewish emigrants from Hungary, died of a drug overdose on Halloween morning in 1993. Now, teen heartthrob Corey Haim has died of a drug overdose at 38. Corey Haim was born to a Jewish mother from Israel and a Jewish father from Canada. 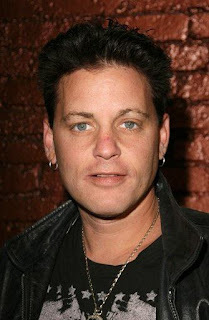 The son of Judy and Bernie Haim, Corey Haim became famous following his role in "The Lost Boys." He also starred in the 1980s movie "License to Drive" and was later part of the reality TV show "The Two Coreys," alongside Lost Boys co-star Corey Feldman, who is also Jewish. The Jewish Chronicle reports that "Haim had been open about his battle with prescription drug addiction, including Valium. He was found dead by his mother in his Los Angeles apartment." Many celebrities have been victims of teen drug abuse themselves, with some of them never making it out alive. Little known fact: Singer Rick James died in the same apartment complex in 2004 (TMZ). Since this was an accident and not an intentional suicide shouldn't the Jewish community come together and bury Corey Haim; chessed shel emet? What a shame for this family to suffer any more. The mother is very seriously ill, Corey was destitute. Please respond to my question. Corey Haim did not commit suicide. Shouldn't the Jewish community do Chessed Shel Emet and bury him at no cost to his parents? He was destitute and his mother is seriously ill.
Corey Haim didn't die of a drug overdose! He died of Pneumonia. And a undetected heart condition. He was getting clean..Perscription drugs played no part in his death. Corey had a lot od Demons but this was one thing he was getting under control. He was the sweetest guy you will ever meet.